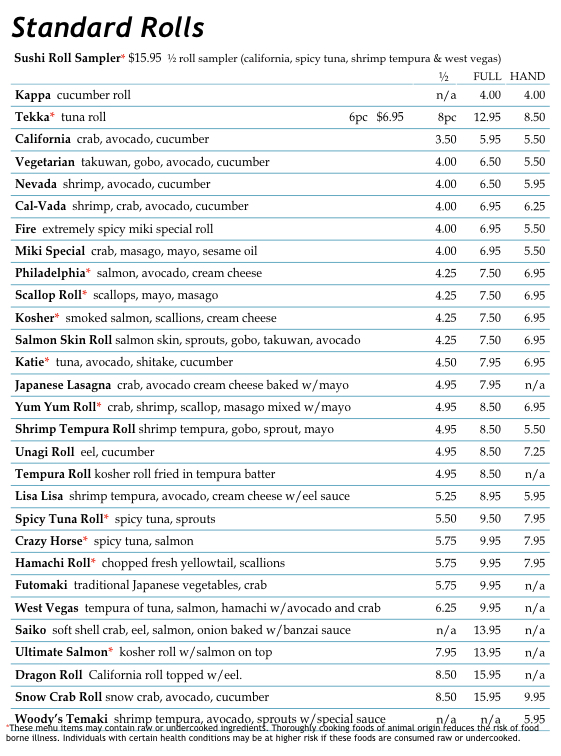 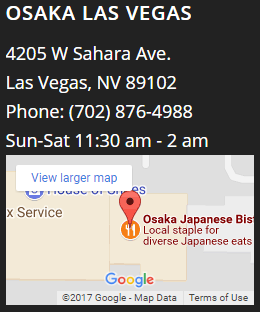 Osaka serves for the freshest, most authentic sushi rolls in Las Vegas. 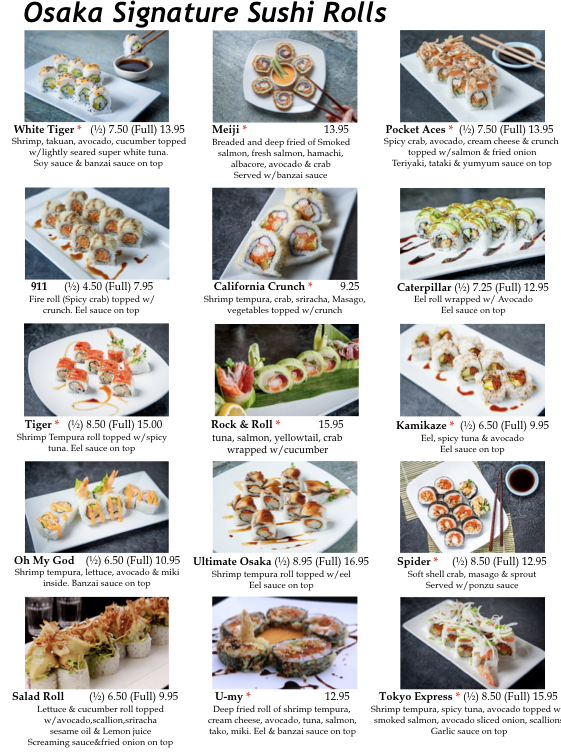 Our extensive sushi menu features traditional and local specialty sushi rolls, amazingly fresh sashimi and mouthwatering nigiri. 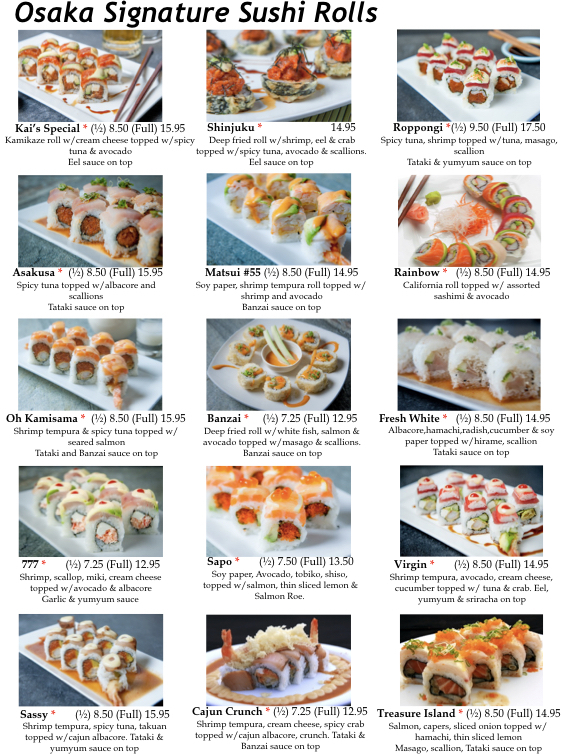 Hang out at our sushi bar and experience a Las Vegas original. 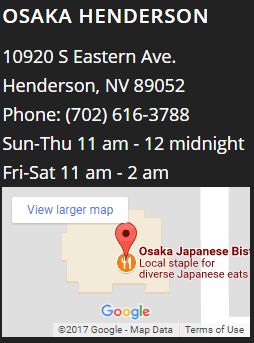 Over 50 years of sushi making in Las Vegas, open late for your enjoyment.